Most signage is made from computer cut vinyl or digitally printed or a combination of both. See below for more details on vinyl and digital printing. For other products, click on the item for more information. We provide our professional signage service for a wide range of companies throughout Melbourne. So, if you run bar in Bayswater, restaurant in Ringwood or a shoe store in Scoresby, we can provide your business with stylish, creative signage. Vinyl cut lettering is the perfect choice for use in many sign projects. It can be successfully adhered to virtually any smooth surface, including sign panels, A-boards, banners, vehicles and shop fronts. Also known as computer cut signage. Vinyls come in all colours and sizes, and are made to last from one year to up to eight years. Some are made for uneven surfaces while other work best on flat surfaces. Vinyl is the ideal solution for vehicles, glass, panels and all painted surfaces. Ask our consultants which is best for your application. Avanti Signs produces wide format digital printing on a variety of materials to suit your needs. We print onto banner, vinyl, translucent, one-way vision, fabric and paper. Our printers use bulk ink systems coupled with high quality solvent inks, to produce a quality, durable, cost effective product. For an even longer lasting finish and warranty, we over laminate our prints for protection and peace of mind. With the use of digital printing technology, we can achieve full colour photographic image quality and speedy delivery of signage that was previously unavailable using traditional methods. 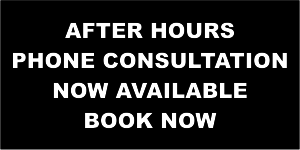 Avanti Signs consultants will come to you. We offer an obligation free consultation to discuss your signage needs onsite. This is a good time to explain your ideas, give us samples and tell us where you want your signage and how big. Our experienced staff can guide you with colour, product and application suggestions. Avanti Signs provide a free measure and quote. We service most areas nationwide. 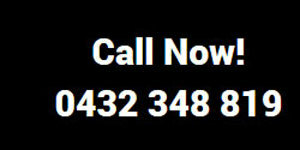 Call our free call customer service number to make an appointment with a local consultant. Rework your old logo. Every few years a makeover is essential, we can use some of the old, and add something new. For government departments, corporate clients and franchises we can replicate exactly to colour and style as required. Prices are all inclusive in your signage price. Our designers are fast and friendly, making your concept a reality is what we do best. We provide mock ups for you to visualise your ideas, and then make changes until it is perfect and ready to make. 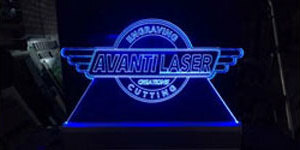 Avanti Signs manufacture and supply all types of signage and the panels, frames, supports and posts to display them. We fabricate light boxes and pylon signs, construct billboards and specialize in all types of shop fronts and displays. The last stage of your sign order is one that makes all the difference – how it is installed. Avanti Signs staff are trained in all types of installations including glass displays, fascia signs and light box panel replacement and servicing. Working high up is no problem. We also specialize in all types of vehicle signage and graphic installation from printed one-way vision to full wraps. Our experienced installers work with all kinds of substrates and surfaces, to produce excellent finish every time. For peace of mind all work is guaranteed based on the products used. Best of all our installation rates are competitive and job completion is usually within 7 to 10 days of design approval.